Carle, Eric. Very Good. Rooster's Off to See the World (Classic Board Book) by Carle, Eric. Glued binding. Paper over boards. 26 p. Contains: Illustrations. Classic Board Book. Intended for a juvenile audience. Carle, Eric. Good. 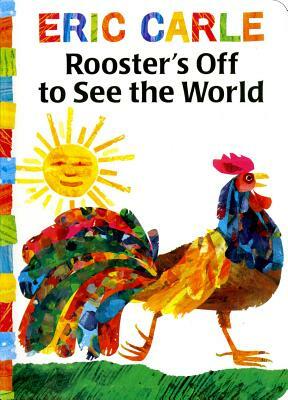 Rooster's Off to See the World (Classic Board Book) by Carle, Eric. Glued binding. Paper over boards. 26 p. Contains: Illustrations. Classic Board Book. Intended for a juvenile audience.